Read moreNow Inspection Arsenal™ Quick-swap Fixtures Enhance All Portable Shop Floor CMMs! Quick-swap Inspection Fixturing for Optical Comparators! Read moreQuick-swap Inspection Fixturing for Optical Comparators! 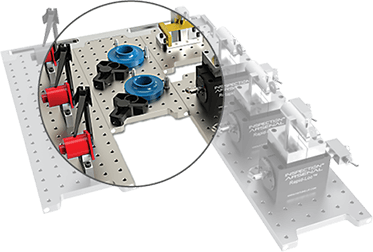 Introducing Air-Glide Loc-N-Load™ Fixture Plates! Read moreIntroducing Air-Glide Loc-N-Load™ Fixture Plates! Inspection Arsenal™ fixtures enhance Fowler’s new zCAT CMM! Read moreInspection Arsenal™ fixtures enhance Fowler’s new zCAT CMM! Read moreSurrender to The Arsenal! Inspection Arsenal™ improves CMM inspection in New Zealand! 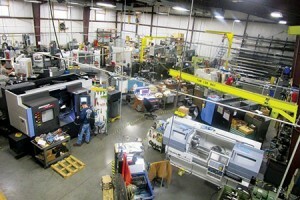 LEAN Inspection Fixture System Unlocks Profits Hidden in QC! Read moreLEAN Inspection Fixture System Unlocks Profits Hidden in QC!